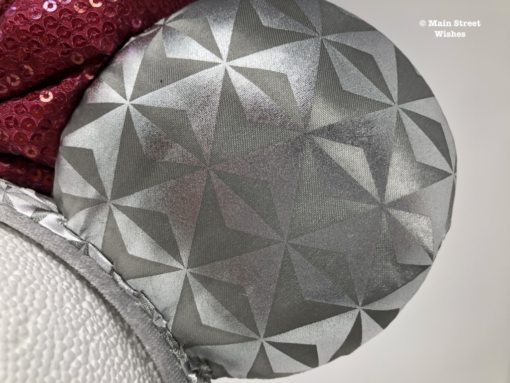 Not too long ago, Disney released a new theme of ears that have a pattern like Spaceship Earth on the ears. 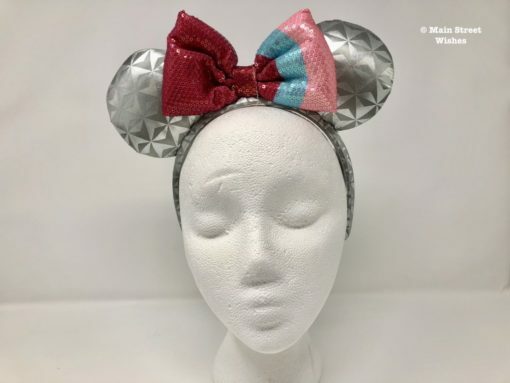 There are a few different options of bows for these ears and they are all representative of something in Epcot. 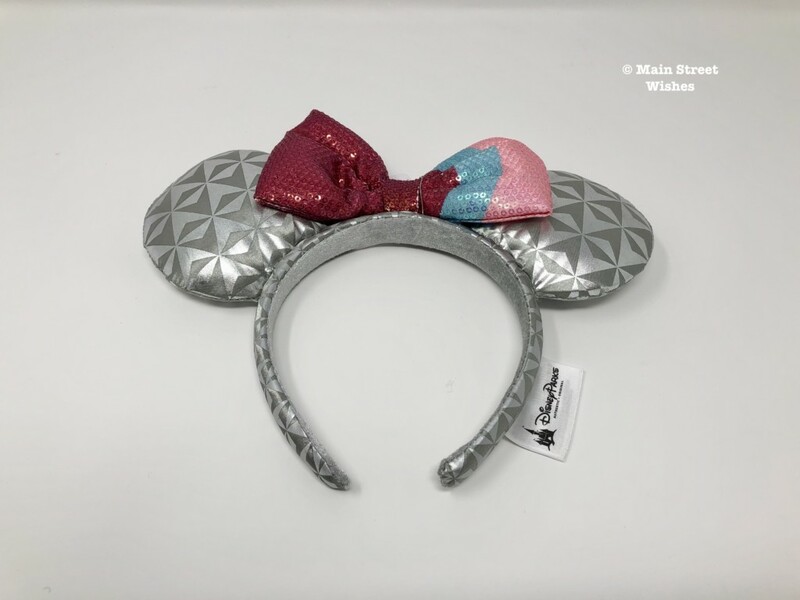 Most represent a country from the World Showcase, but the ears in the spotlight this week are representative of the Bubblegum Wall in Epcot. The Bubblegum Wall is a popular spot where guests like to take pictures. There are different walls that have gained popularity among guests and these walls are sought out for pictures. The Bubblegum Wall is located near the exit of Spaceship Earth. The material covering the ears has the same triangular shapes that Spaceship Earth is known for. The material has a bit of a shine to it too, which helps the design to pop. There isn’t as much stuffing in these ears as there is in others, but they’re still soft when you press on them. 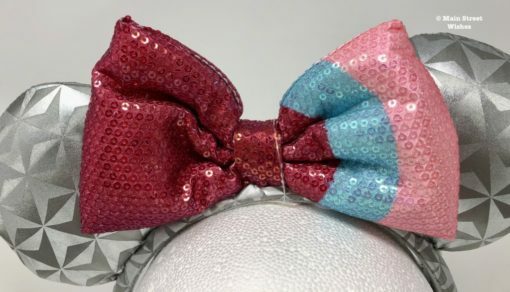 The bow has the same stripes as the Bubblegum Wall. There is a thick dark pink stripe, a thinner blue stripe, and a lighter pink stripes. The whole bow has sequins, so there’s a sparkle to it. 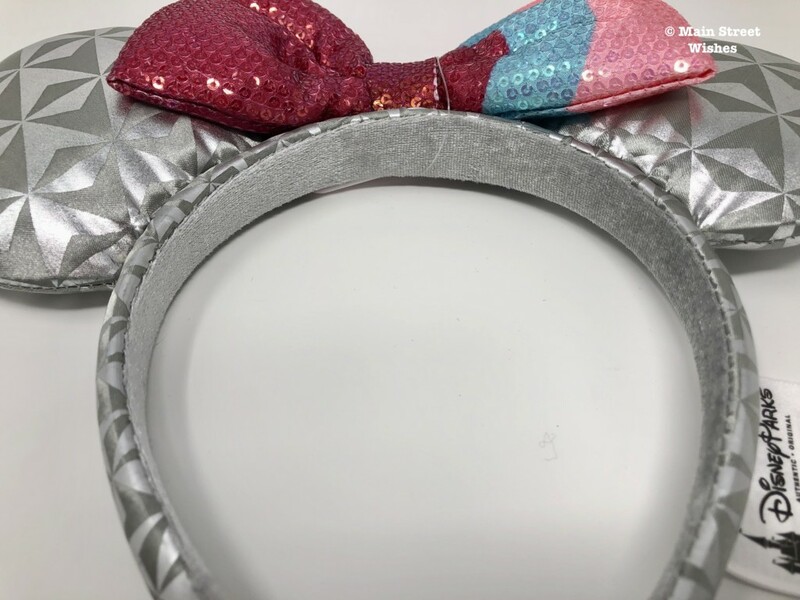 It’s a cute bow and it’s easy to see how this headband represents the Bubblegum Wall. The outside of the headband has the same material and design as the ears. 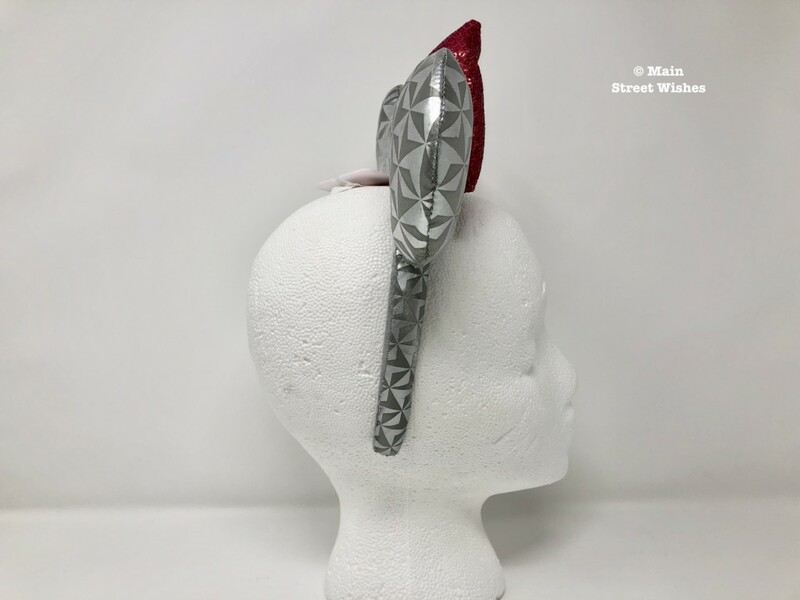 However, the inside of the headband is lined with a soft grey material, which matches the grey of the headband. 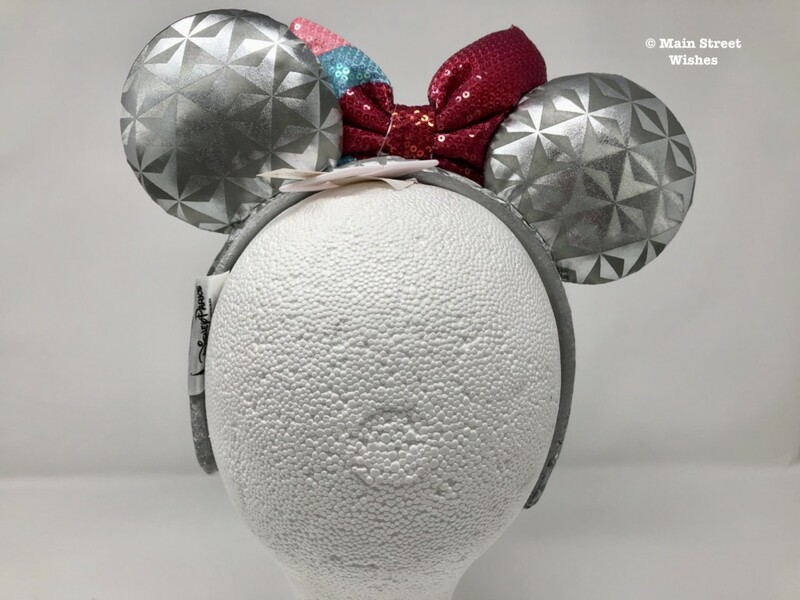 Epcot is my favorite park, so I was excited to see these ears were available. I love them and can’t wait for the next time I’m in Epcot to wear them!